I have a secret fantasy: I want to spank waiters. Why? Because wine service in Atlanta, on average, is abominable. 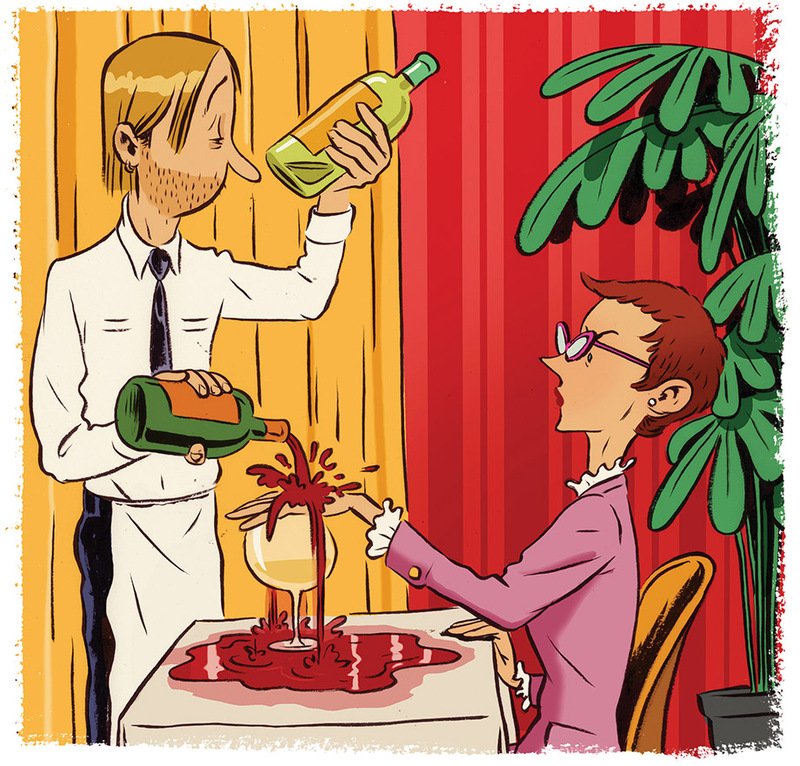 Two reasons: First, when you order a bottle, waiters are far too eager to pour through the entire thing when you aren’t looking. Hands off, garçon. I’ll pour my own wine and drink at my own speed. Try it next time; you’ll be amazed at how much money you save. It’s all so ironic to me, because when it comes to pouring for customers who order only a glass or two, those behind the bar measure a scant six ounces with rigid precision. Second, I’m tired of watching people walk into a bar and casually ask for a glass of Chardonnay without looking at the wine list. What do you think happens? The staff grab the most expensive stuff on hand. All of which is to say, most of the time I don’t even bother. It’s straight to beer and cocktails for me. I’m a sucker for effervescence: wines that sparkle, mineral waters with lots of bubbles, ginger ales that tickle my throat, Cheerwine. But in general, I detest fountain sodas with secret formulas including chemicals and sweeteners I don’t understand. I have found a kindred spirit in Kathryn Fitzgerald, though, the occasional bartender at the General Muir who spearheads the creative soda program at the restaurant’s Krog Street Market relative Yalla, an Israeli sandwich shop that doesn’t serve alcohol. Fitzgerald makes everything herself, from the raw simple syrup to the cold-pressed juices she puts through a fine-mesh strainer and infuses with fresh herbs such as bee balm, chamomile, basil, sage, and mint. 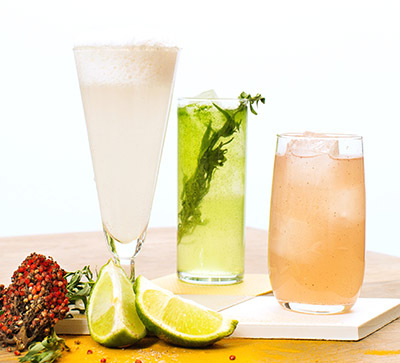 I wouldn’t call what she does mocktails—an industry term for nonalcoholic drinks—because her lively elixirs with yellow watermelon, sea salt, and honey or banana, lime, and vanilla are clearly meant to quench a thirst rather than fuel a bar scene. In a broader sense, there’s a big movement for artisanal sodas across the country, but Fitzgerald, who grew up on a farm in Stone Mountain, is no newcomer to the world of roots and barks. She truly loves nature, and her rebellious background—she traveled around rather than going to college—has served her well. She could be joking when she says that she might be reduced to making Brussels sprout soda in the winter, but after swooning over seasonal sodas like scuppernong and lemon balm or apricot, turmeric, and thyme, I know that she won’t run out of ideas anytime soon. Now that Bell Street Burritos on Peachtree has gotten a beer license (finally! ), I’ll get over the fact that Matt Hinton has moved his business across town from me and picked a place with the wonkiest parking lot ever. Less sweet than Thai, richer than Chinese, and spicy without scorching my mouth, Malaysian cuisine is a true gift; Mamak, which just opened on Buford Highway, knows its way around curries with chicken or fish heads and coconut milk. Kameel Srouji of Aviva by Kameel in the Mall at Peachtree Center serves the most tender lamb shawarma on record. He also makes my day when he says that he loves me . . . always.